As artists, we are often subjected to the messy artist myth. The idea that the creative genius works in a seemingly chaotic space: supplies scattered all around their studio, half-finished pieces everywhere, notes and sketches pinned to the wall. But, artists across the world are contradicting this cliche by using software to help organize their inventory and grow their businesses. By helping artists to quickly access what pieces they have available, which galleries they are in, and their exhibition and competition history, they can now easily manage their career and spend more time focusing on what really matters—making work. What’s more, the program provides easy to change measurements and currency, so no matter where you or your clients are living, there is a system in place to communicate efficiently. We talked to three international artists about why they love using Artwork Archive. Amaury Dubois is a contemporary painter living and working in Lille, France. His artwork is shown in galleries around the world and he has worked with companies such as Mercedes Benz on custom designs. After growing frustrated with using Excel and Word to inventory his work, Amaury searched for a system that would meet his needs, and that’s when he found Artwork Archive. Artwork Archive has allowed me to save time and to stand back. I am able to have a general vision of where my works are and what I have to do. That puts my mind at peace and has allowed me to think about other things. I can concentrate on what I like. If I had to create a tool to help me in my art business, I would make it like this one. En la Granja (left) and Against the Wall (right) by Jeannina Blanco. Costa Rican artist Jeannina Blanco began her career in California by donating artworks to foundations that she respected. After gaining recognition at an open show in New York, she began to exhibit and auction in New York and across the world. Now back in Costa Rica, she is soaking up the colors and influences of her native country, and just recently built a mobile app for her art business. I am a big fan of Artists Helping Artists, so much so that I have include their podcast on my mobile app. They mentioned Artwork Archive as a way to protect images. I tried it for free and realized that it was the best idea! Having a dedicated server to keep documented artwork safe and be able to access it when I travel is priceless. I no longer have to keep a writing log nor store images in risky places. Having an image of your artwork is the only way to document its existence and transmit the message, regardless of its physical location. I now easily control where my unsold pieces are, as well as make consignment reports for sales reps at exhibitions, and portfolio pages to appear professional to galleries. I know who and where my collectors are and what they like, I can keep provenances and find or show my artwork by collection. Artists of this century have to self-manage while staying productive, so we need to find the easiest way to keep track our artworks and stay in contact with those who keep us in business. #100 Confetti Parade by Julia Badow. Julia Badow is an artist based out of Halle, Germany. Currently a fashion design student, Julia has a deep love for colors and a penchant for vibrant, saturated hues. An early career artist, Julia has set clear intentions about what she wants out of her career and is making it happen. She uses sites such as Instagram, Periscope, and SnapChat to stay in touch with the international arts community, as well as Artwork Archive to grow her practice. I was on the hunt for a website where I could showcase my art. The fact that my art could be organized so neatly was a special bonus that I wouldn’t want to live without now. 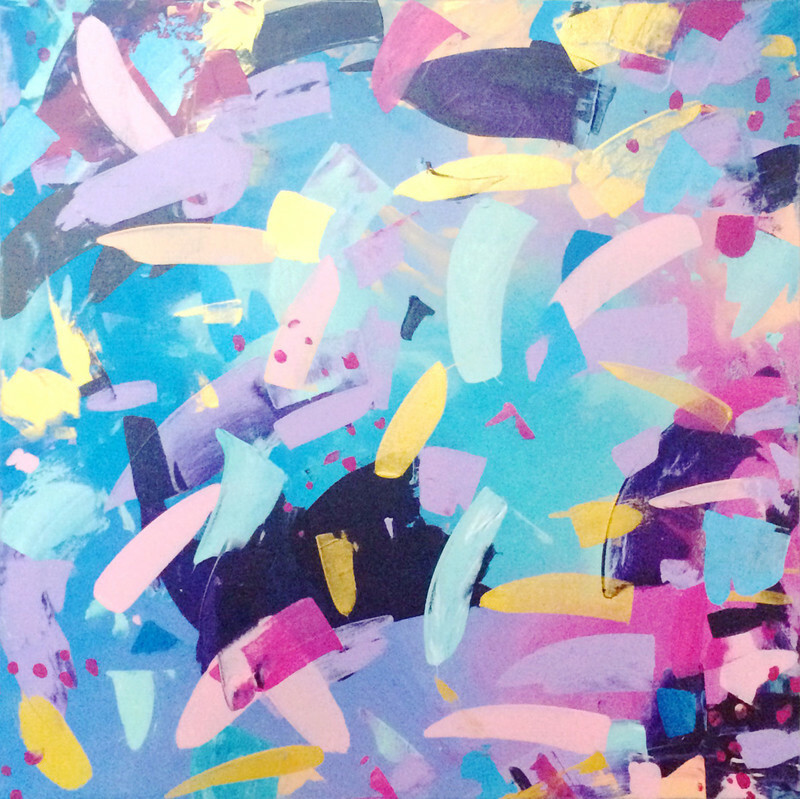 Before Artwork Archive, I primarily listed .jpg files of my art in a folder on my computer, each piece was titled with its number, creation date, and dimension; so, a file name would look like this: “0054/5.mai2012/100x100.jpg”. I would much rather use Artwork Archive since I can store so much more information there and it looks a lot nicer. Since my own site is not up and running yet, I refer interested buyers to my Public Page. From there, they can browse at their leisure and select an available painting for purchase. Artwork Archive obviously helps me keep my art organized and I love how easy and fun it is to use. It also works as a business card, since whenever I meet new people and we end up discussing my art, I can show them my Public Page on my phone or send them the link in a heartbeat. Once I make a sale, I can store my collector’s information on the site and know exactly where each piece I ever painted is right now. It just clears up so much headspace! If you like making lists and being organized, get Artwork Archive, because you will love how fun, easy, and neat everything is. If you dislike being organized, get it anyway, because sooner than later you’ll need to be organized to achieve your goals, and Artwork Archive makes it as easy for you as possible to do just that. It will take less time getting everything up and running than searching for that one piece you submitted ages ago to a competition or other—or did you sell it already and where did THIS painting come from that you didn’t even know you painted? 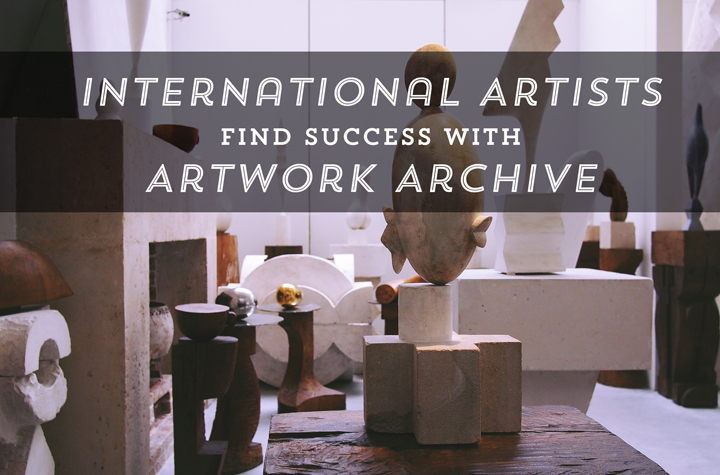 Grow your business as these international artists have done with Artwork Archive. Click here to start your free trial. Photographing 3D art can be a challenge even for experienced photographers. The best photographs of 3D art use these techniques.